In 1917, Pablo Picasso left (war effected) Paris and moved to Italy to join Serge Diaghilev’s Ballets Russes where he would become close friends with Igor Stravinsky, a brilliant composer. Choreographer George Balanchine joined the company and was also regarded as a leader of his craft. It was a unique collaboration of Masters, each eager to explore Modern motifs. The Australian Ballet presented Symphony In Three Movements (1946) in 20:21, at The Art Centre Melbourne, recreating the collaboration between Stravinsky and Balanchine. It’s a ballet wedged between the classical and the contemporary. Eve Lawson has used cotton gloves to protect the integrity of the historic statement and gives the audience an opportunity to witness the Modern Wave in a digital world. Music Director and Chief Conductor Nicolette Fraillon recreates the rhythmic pulse. Picasso entered Diaghilev’s Ballet a bohemian, a womaniser, and an abstract painter. 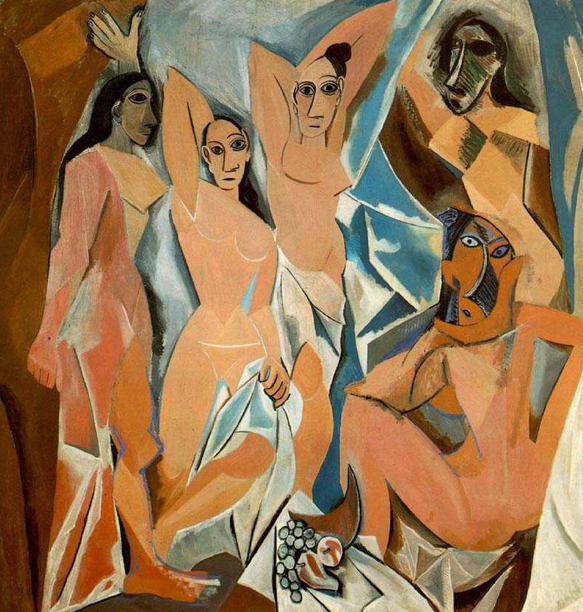 He was regarded as a Master Artist due to his break-through work Les Demoiselles Davignon and enjoyed the patronage and support of Gertrude Stien. He was admired by his avant-garde peers for leading the modern movement. Joining Diaghilev’s Ballet was an unexpected career move that alienated many of his contemporaries. Diaghilev’s led the Ballet Russes with brutal force and Picasso’s powerful personality had to submit to the expectations placed on him. He would be seen in suits during this period. By the time that Picasso had freed himself from Diaghilev’s tyranny he was married, gentrified, a classical figurative artist and his peers were Russian Royalty, that had escaped civil war. 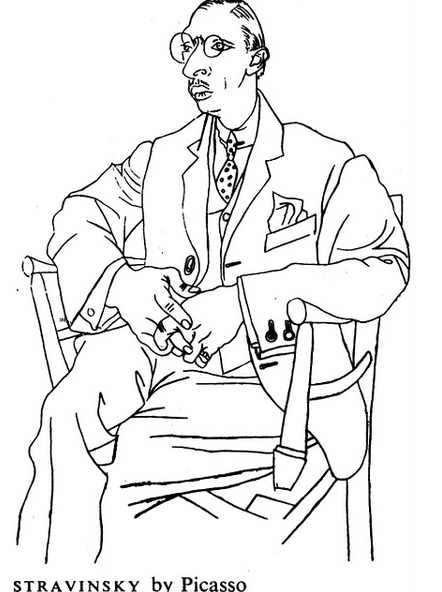 Just as Diaghilev had altered Picasso (temporarily) into a more conservative aspect of himself, Picasso’s presence was also influencing Diaghilev. The Russian Ballet had been marooned in Italy, unable to return home as they were regarded as Imperials, by the communists. The Modern Art movement was sweeping Europe at the time and these new influences inspired Diaghilev to move away from the traditions of ballet. He was also pro-communist. The employment of the new Modern Masters which included Picasso as set and costume designer, Stravinsky as the score and later Balanchine as Choreographer enabled Diaghilev to create a new vision. It was not an easy transition for him, although he made great strides forward, he was never be able to fully shake off his roots, just as Picasso could never abandon his Bohemian ways. Picasso and Stravinsky met and firmly bonded, it was a lifetime friendship. It is through this friendship that we learn more about the influences that drove the musical direction of Stravinsky. He created raw minimal pieces and reframed older compositions. Both of these artists drew from their environment in unexpected ways, Picasso could find character in a fork and Stravinsky found music in a scratching sound. Picasso left the ballet and embarked on his first marriage with one of the Russian dancers Olga Khokhlova. Stravinsky remained within the Diaghilev hub and teamed up with Balanchine. Stravinsky and Balanchine shared a vision that the music and the choreography should be equal parts that worked together. Although Stravinsky had been able to work solidly through WW1, it was not a safe place for him in WW2 ,so he had to refugee to America. His new country afforded him employment, but not on his terms. The Stravinsky that had fooled about with Picasso had grown reserved in America. In Italy, he had sourced from popular culture and allowed himself moments of wild abandonment with the cream of Modern Art . Despite the numerous set backs and forced immigrations, Stravinsky stayed one step ahead of destruction. In 1946, he was commission by the Philharmonic Symphony Society of New York to compose Symphony in Three Movements. Balanchine created a ballet that would translate the music. Balanchine’s Ballet is an eclectic blend of cultural references and popular trends. The 50’s were about to dawn and the Ballet showcases girls with long pony-tails in dancing gangs, exotic Asian influences, soldiers and clocks, all portrayed in leotards with no scene props. It is classically rich, within a sheer minimal exterior. It is modern art, moving.